Because they seem to be the lone serious bid to host the 2026 FIFA Would Cup, the joint bid featuring the United States, Mexico and Canada hoped that FIFA would approve a fast tracked bid that would appoint them hosts three years earlier than expected because they are unopposed at the moment. At the FIFA Congress in Bahrain, it was ruled that the CONCACAF bid will not be accepted today but that doesn’t necessarily mean they will have to wait until 2020 to vote for the 2026 host(s). What FIFA decided was to allow a three month period for any nation that isn’t in Europe or Asia (hosting 2018 and 2022 and cannot bid) to let FIFA know they are preparing a bid for 2026. If anyone is, there’s rumors that Morocco could make a bid, they have a year to finalize a bid. 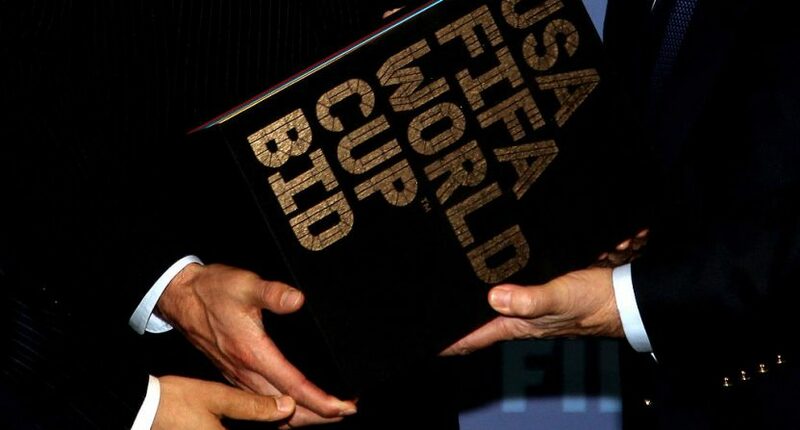 If nobody steps forward, FIFA could vote to have the US, Mexico and Canada host by 2018 instead of 2020. This seems like the best of both worlds. While the CONCACAF bid would have loved to win the bid today and start preparing for 2026, fast tracking a bid like this would set a terrible precedent and could be abused in certain situations, raising ethical and corruption fears that FIFA doesn’t need right now. On the other hand, 2026 is a rather peculiar time for the World Cup because it’s been likely since the beginning that a CONCACAF country would host. And since the three biggest CONCACAF nations have a joint bid, there should be no competition. Europe and Asia cannot bid, New Zealand isn’t going to bid out of Oceania, South America will gladly wait until 2030 when Uruguay and Argentina are likely to put up a joint bid to celebrate the 100th anniversary of the first World Cup in Uruguay and except for Morocco, no African nation seems remotely interested in hosting. Since this bid will likely go unopposed, that doesn’t really make sense to wait until 2020 to vote for something that’s 99.999999% going to happen. Give everyone enough time and if nobody else steps forward, give the US, Mexico and Canada an additional two years to work on hosting the World Cup. Six years is still plenty of time to plan out and be a great World Cup host, but if you could give them another two years prep time, it doesn’t make things worse. For once, FIFA invoked something that seems like a weird concept for them. Common sense. They kept the bid process open and made things easier for the very likely hosts to get a head start in hosting 2026. Seems a bit weird to say FIFA made the right decision but I’ll give them credit for this.